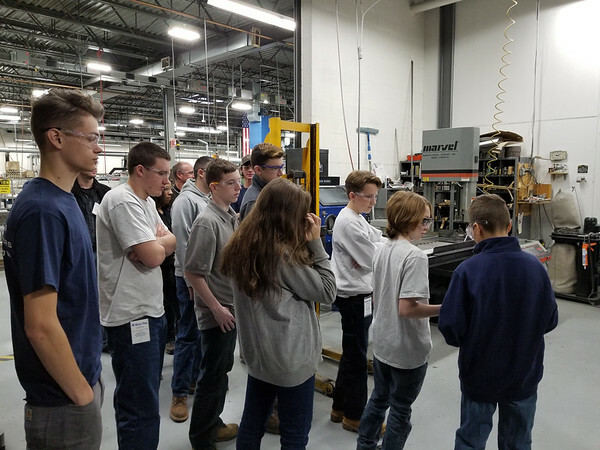 BERLIN - Sirois Tool Co., Inc. recently hosted a facility tour for students from Vinal Technical High School of Middletown to educate them about career options in manufacturing and to help them make a more informed decision when selecting a career. Sirois Tool employees spoke with the students before showing them the shop. The group included Alan Ortner, president; Andre Nadeau, operations manager; Scott Horton, production manager; Cheryl DiPinto, human resource manager; Dane Hoeffer, quality manager; two Sirois employees who are Vinal Tech graduates; and a Vinal Tech senior who is a pre-apprentice employee at Sirois Tool. Sirois employees spoke to the students about the benefits of manufacturing careers, opportunities, and skills needed to work in the field. The employees also told students how they got to the positions they currently hold. The students were accompanied by Michael Hood, head of the Precision Machining Department at Vinal Tech. During the tour, students had a chance to indroduce themselves and talk about their career goals. They also talked about the expectations of Hood’s class. The students who took part in the facility tour are who are involved in a work-based learning program through which they are able to work for a company during the shop cycle of the program. 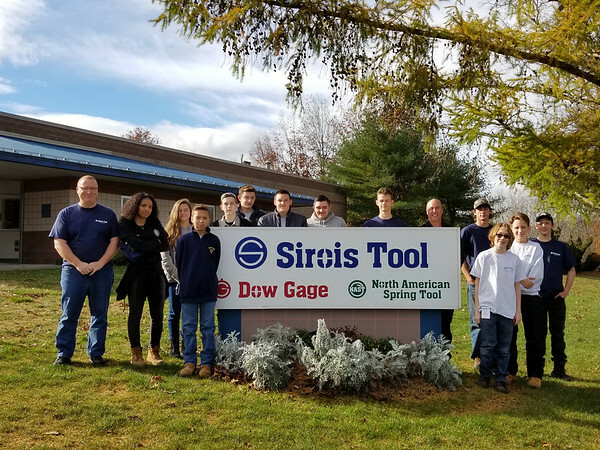 Students were guided through the different departments at Sirois Tool and they learned about the operations held in each area of the facility. They were also able to examine and touch some of the parts made at Sirois Tool and later asked questions about the equipment and materials used by the company. Ortner, the president of Sirois Tool, said it’s not the first time the company has given student tours to help them learn about careers in manufacturing. “I think is an important thing for us to be doing to attract quality students into the manufacturing technology program at Vinal Tech,” Ortner said. Sirois Tool has a partnership for the apprenticeship programs with Vinal Tech and Goodwin Technical High School in New Britain. In addition, the company offers tuition reimbursement for their employees who are enrolled in career programs related to their jobs or manufacturing. “We are trying to build that workforce too,” Ortner said. Sirois Tool specializes in precision tool and gage manufacturing and it supports various industries including bearing manufacturing, medical, aerospace, firearms and military projects. Posted in New Britain Herald, Berlin, Business, on Monday, 17 December 2018 20:03. Updated: Monday, 17 December 2018 20:05.